Telluride’s wrapping up. Venice is almost over. September’s finally arrived. Which means the Toronto International Film Festival’s just days away. TIFF, as it’s called, is one of the largest public film festivals in the world and has become one of the most influential festivals regarding how films are positioned for awards season. In the past decade, eight out of the nine films to win People’s Choice have gone on to be nominated for Best Picture, suggesting there’s a strong likelihood we’ll see some of the awards contenders coming out of this year’s festival. But the festival’s about more than industry news. It also takes great pride in its reputation for being a festival for the people; including both audiences and filmmakers. And that goal includes a desire to offer diverse perspectives in all areas of their programming. Of the 22 programmers employed to select films for the festival, 12 identify as female. The festival also announced this year a focus on improving the diversity of journalists and critics covering the festival…20 percent of accreditation passes (the tickets journalists need to attend press screenings, press conferences, and red carpets) were allocated to underrepresented journalists. This comes in direct response to the recent study which found that less than 25 percent of critics on Rotten Tomatoes are female. TIFF is doing all this during the sophomore year of their program, Share Her Journey, a five-year commitment to increase opportunities for women to develop skills and create films through various programs. Beginning in July of 2017, the program announced their goal to raise half a million dollars and, raising more than twice that, allowed them to initiate several new programs including the RBC Female Creator Initiative, TIFF Producer Accelerator program (lead by Mudbound producer Cassian Elwes) and the Micki Moore Residency for Screenwriting (won this year by filmmaker Nikki Staltz). Before all eyes in in Hollywood and beyond are on TIFF festival, TIFF will host their annual Talent Lab, described as a “grad school for filmmakers and creators," and can boast that of their attendees, 50 percent are female. But once the festival begins on September 6, Share Her Journey has an opportunity to show how they are leading the way in “changing the narrative of women in the film industry.” This will include their own “Women’s Rally” on September 8 (the first Saturday of the festival), including speeches from Geena Davis, Cathy Schulman, Mia Kirshner, Keri Putnam, Dr. Stacy L. Smith, as well as two filmmakers with films playing in the festival this year, Nandita Das and Amma Asante (joined by her leading actress Amanda Brugel). Das will be screening her new film Manto, a biopic Saadat Hasan Manto is a part of, while Asante will be screening her new (controversial) World War II-set drama Where Hands Touch (in theaters September 14). But they are just two of the many female directors in attendance at this year’s festival. It was announced that 36 percent of the directors at this year’s TIFF are female, a three percent increase from the year before. There is also an increase in diversity across all areas. From comedies to period dramas and a whole collection of genre films from around the world, the unexpected nature of film festivals are major part of their appeal for cinephiles. 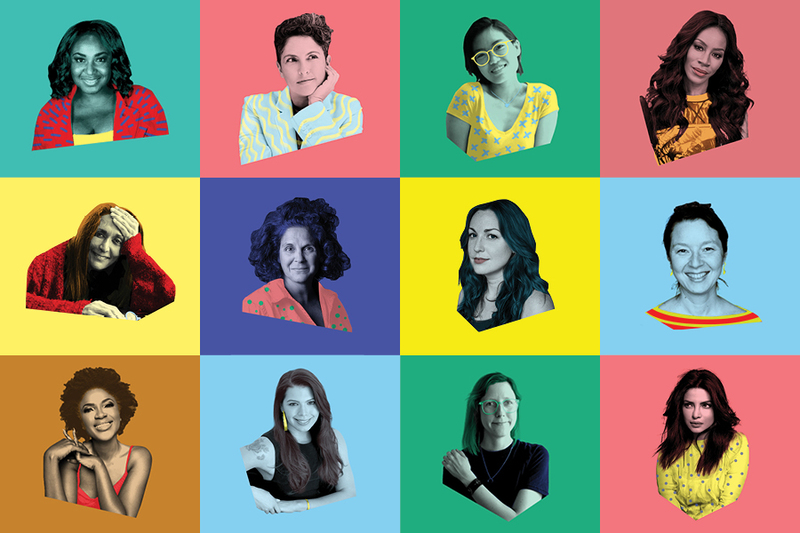 In a few days, FF2 Media will be covering TIFF, screening a majority of the 60+ features directed by women and seeing how organizations like Share Her Journey are changing the narrative from within.